With a splish and a splash, I get a flash of my beautiful dove of when we welcomed her to the world. This is a sponsored post by Mirum Shopper. All opinions stated are my own based on my personal experience. No one ever tells you all their tips, tricks, and secrets on how to get through the first year. Some lessons you just have to learn on your own. What works for one parent may not be the same that works for others. Tell me about it. I have two totally different babies. One hated baths and the other hates to get out. But you know what happens when a water baby stays in the water too long, your skin prunes up. Sitting in the bathtub in warm water for long periods of time everyday can cause your babies skin to dry up. If you have a sensitive skin baby like I do, this is not good. Dove-the personal care brand we trust for our skin now has a new line for our babies. Did you know baby’s skin loses moisture up to 5 times faster than yours? Baby Dove goes beyond mild and gentle to replenish essential moisture & nutrients. 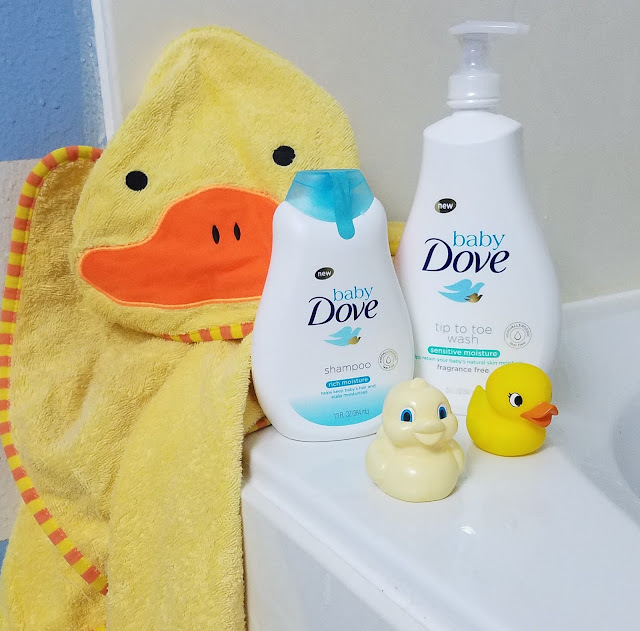 Whether it’s tear-free tip to toe wash during baby bath time, or a soothing lotion afterwards, Baby Dove gives you confidence that you’re providing the best care for your baby's skin. Keeping your baby's skin moisturized is as easy as with Baby Dove. The wash is both tear free and moisturizing so it doesn't deplete your little one's skin like other soaps. It's always a good idea to apply lotion after every bath to help lock in moisture. 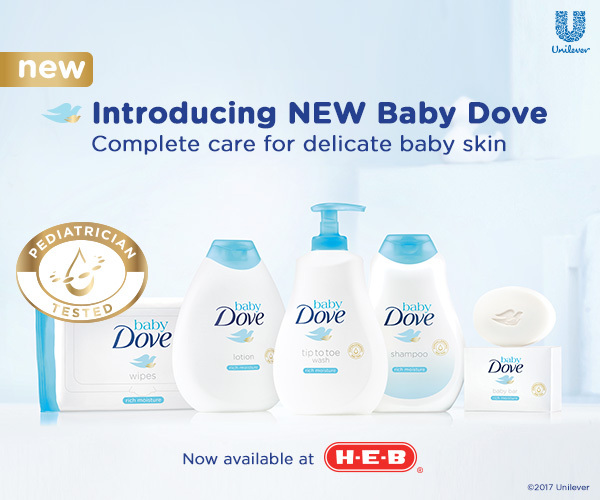 Baby Dove is now available at H-E-B. I love this product for us and looking forward to getting it for our son to give it a try. I'm a big fan of Dove's bars and I'm excited about trying the Baby Bar for my little one. Thank you for sharing! We love baby Dove at our house because it smells so good and is so gentle to babies skin! Dove products are the best. I plan on buying the Baby Dove collection for my cousins twins.